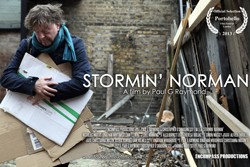 THE RESIDENCY HITS LONDON...AND IT'S A LAUGH! 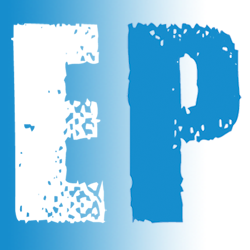 After a fantastic year of THE RESIDENCY in Egham, we’re starting to branch out further afield! On both Thursday 3rd and 10th November MASCARA BAR in Stoke Newington hosts not only our very first London events but our first COMEDY NIGHTS! Sam James, Andy Barr, Ian Lane, Phil Boothman, Sam Holmes and not to mention our very own SHOOT FROM THE HIP! comedy improvisation group. We'll also be having the musical stylings of Helena Gullan to soothe you as you get your half-time beverages! So for some guaranteed giggles and hysterical hoots come on down to The Residency: Comedy Nights at the Mascara Bar, London! 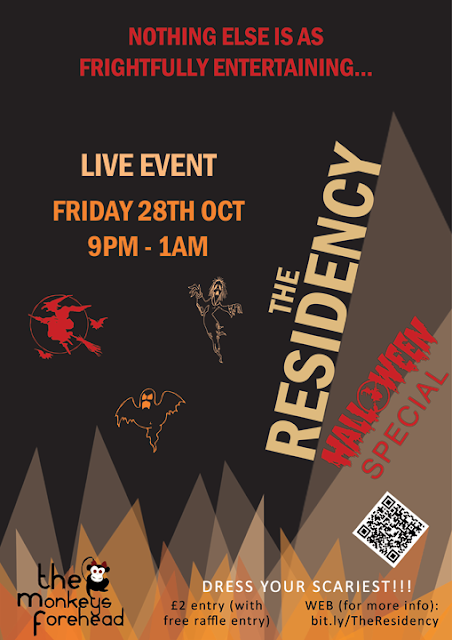 THE RESIDENCY HALLOWEEN SPECIAL - THIS FRIDAY! We'll be having our usual Residency Raffle with great Halloween-themed prizes, and courtesy of the wonderful people at The Monkeys Forehead we've got some exclusive drinks deals including 2 for 1 on Cocktail Jugs - only £12! There will also be a special themed cocktail and even The Residency theme music will have its own scary twist...look out for them! Nothing else is as frighteningly entertaining - dress your scariest! WANT TO PERFORM AT A FUTURE RESIDENCY EVENT? EMAIL US! That's all the latest news for now, but look for another event announcement (or two!) soon and the reveal of our next artistic project! We hope to see you at one of our events in the coming weeks! Plus even more brand new acts to be announced soon! As if that wasn't enough, we'll also have Halloween-themed treats and the usual Residency raffle! So come and celebrate your Halloween at The Residency on Friday 28th October...nothing else is as frightfully entertaining! SHOOT FROM THE HIP! 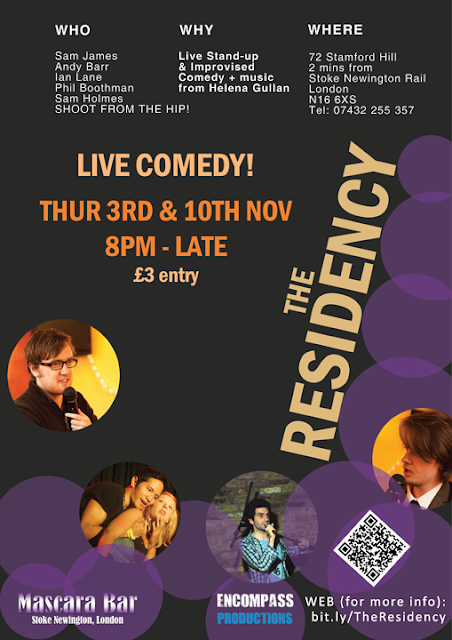 are returning to HIDEAWAY, promising more laughter courtesy of their improvised antics than ever before. 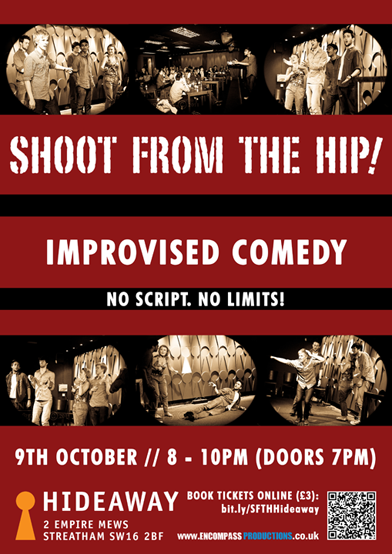 Join us tomorrow night (October 9th) from 7pm (show starts at 8pm). Who cares if it's a Sunday evening - laughter is the best way to start a week! SHOOT FROM THE HIP! ARE BACK NEXT SUNDAY AT HIDEAWAY // THE RESIDENCY RETURNED! SHOOT FROM THE HIP! are back in London town, promising to be harder, better, faster and stronger (without the use of steroids) our comedy funsters are all geared up to have you laughing until you ache...and that's just before the interval! 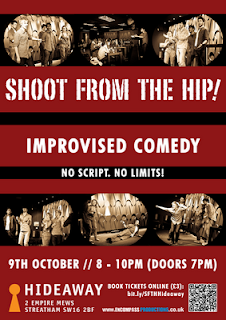 So come along and join us at HIDEAWAY in London on October 9th. Who cares if it's a Sunday evening - laughter is the best way to start a week! THE RESIDENCY RETURNS A HIT! The Residency returned to The Monkeys Forehead Lounge Bar and what a success it was! Great comedians, music acts, prizes, drinks deals and cake (we made a lot, you ate a lot)! Thank you to all who came, and to the newcomers...welcome! We'll be back with the next Residency later this month! -Have you checked our our new 'History' page on our website yet? You can see what we've been up to since our formation! -Some cosmetic changes to our website - including a redesigned 'Residency' page and a standalone page for the upcoming SHOOT FROM THE HIP! show. -Photo albums on our Facebook page and the 'What It Feels Like' website for you to look at it, taken at dress rehearsals and in Edinburgh by our brilliant photographer Matthew Convery - check them out! SHOOT FROM THE HIP! return to London next Sunday - we hope to see you there!